The USB 3.0 Type A Male to Female Extension cable manufactured by Dynamix - New Zealand's leading distributor of cables & cabling solutions since 1989. Is this cable backwards compatible with older USB types? 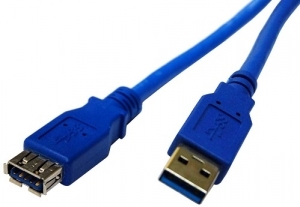 Yes, these USB 3.0 cables are backward compatible with the older USB types, and will just be limited in transfer speed and power output to the lower requirement of the older device.